A New York Times article states “Exercise Is Not the Path to Strong Bones.” This is false and dangerously misleading. The article appeared on April 1st here. Is it an April Fool’s joke? If so, it’s a really poor one, but that is the only logical explanation. The article open with these two sentences. The first is correct…. Misconception: All you have to do is walk or do modest strength training exercises to build strong bones. Actually: Exercise has little or no effect on bone strength. …but the “Actually” is completely false. Exercise is the only way to build bone strength. And not only does it work, it works amazingly well. But it has to be strenuous. In effect, it has to deform the bone a bit. The two best exercises for keeping the big bones strong are deadlifts and squats. The article continues to hammer away at the uselessness of exercise, the value of certain injections, and why various studies that showed that elderly exercisers built bone were bogus. And there are plenty of studies that contradict the author’s claims. Here’s one from 2002. I (Davis) am a poster boy for this one. A jogger, I was diagnosed in 2000, at age 55, with borderline osteoporosis. Dr. Mike said, no pills, start doing squats and deadlifts with heavy weight. With six months, I was well out of the danger zone. Now, 15 years and around 45,000 reps later, I am two standard deviations above the normal bone density for my age. What does this mean? It means I am in the top 2% in terms of bone strength. It also means I am never, ever going to have osteoporosis, as long as I keep pumping that iron. Nice to know. But maybe I am an outlier. Consider this. Of the first thousand or so people to to undertake Dr. Mike’s Quantitative Medicine protocols, 200 or so got more than one bone density measurement. Why more than one? These were primarily the people in trouble. About a third were already osteoporotic and and the majority in some degree of bone strength trouble. After six months of the program, which involved two intense exercise sessions a week, all but 3 of these 200 had built new bone. Further, 2 of the 3 that didn’t eventually would as well. And no pills or shots, just exercise. Details here. We have no idea where the NY TIme health reported got her information, but she should consider a retraction. Statements like “Exercise has little or no effect on bone strength” are false, dangerous, and harmful. How many thousands of people have now gotten that idea implanted in their heads? I actually emailed her and commented on her lack of in-depth research for the article. All she could say was that she feels her reporting was accurate. I also suggested she look into you website and give it some thought. 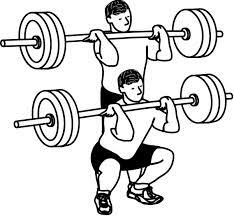 What if your knees are in poor shape and you cannot do a full squatter alone a dead lift, and you have been diagnosed with severe osteoporosis what kind of exercise can u do or should you take the medicine ? Older people can’t always do the things like a full squat and then lift a bar with a weight? Thank you I would love to have that post if it would be possible .